Tanya Wagner checks in with a report from PA. The Pennsylvania/Maryland/Delaware Section is coming right up so it's high time we let you competitors in on what you're up against. 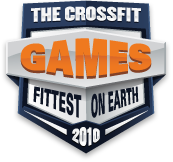 The following information comes straight from 2009 CrossFit Games Champion Tanya Wagner herself.